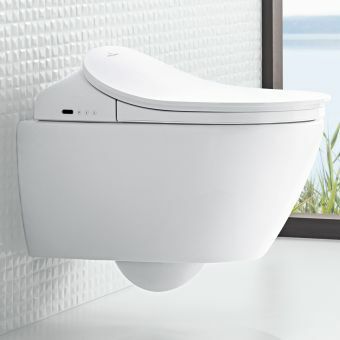 Those looking for an elegant, yet compact white toilet that will fit into any bathroom setting, the VitrA S50 Short Projection Wall Hung Toilet is an ideal choice. 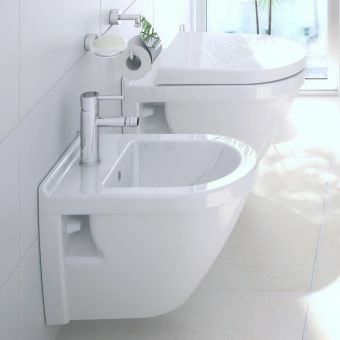 This toilet uses a pan, along with a wall attached horizontal outlet that frees up more space for other important bathroom fixtures. 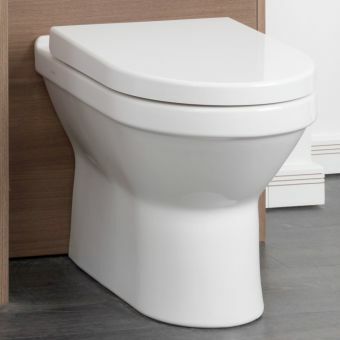 Durability is at the forefront of this toilet, with its chrome hinges that hold together both the soft close toilet seat and the toilet seat cover. 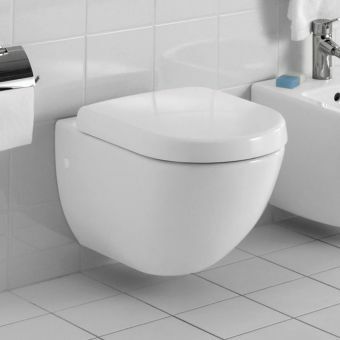 This toilet brings durability to the homeowner, as buyers can choose between a single flush or dual flush setup. 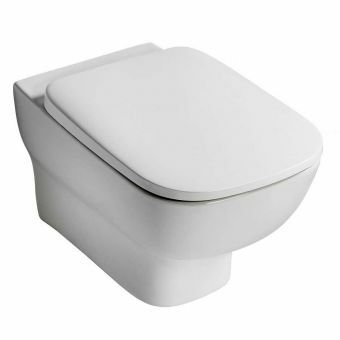 Those looking to buy contemporary toilet from UK Bathrooms will appreciate that the soft close cover adds to its durability and style. 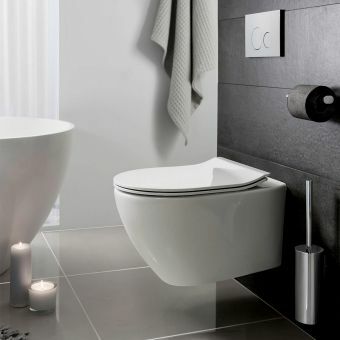 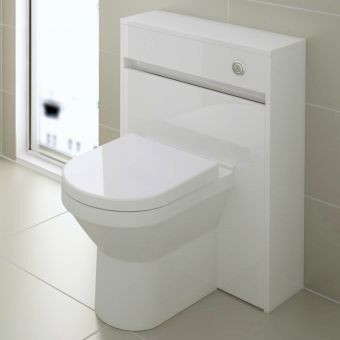 Whether going for space or style, this wall hung toilet will compliment any home bathroom. 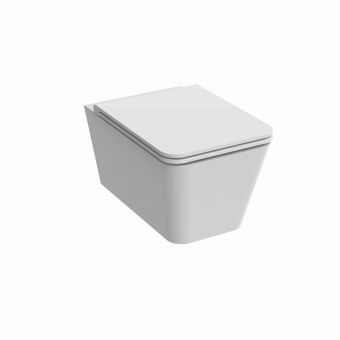 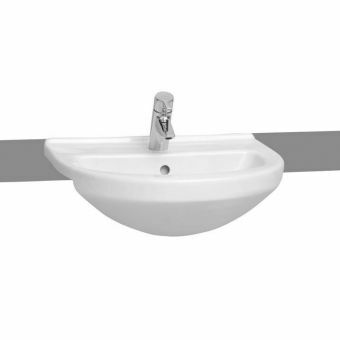 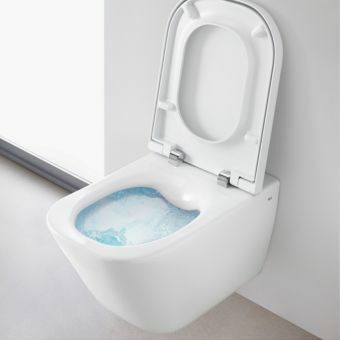 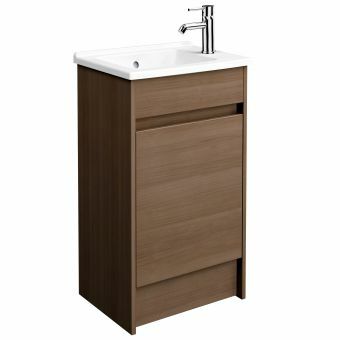 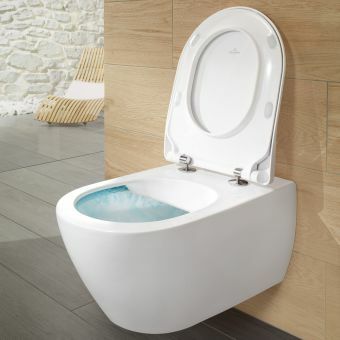 I chose this toitet because: - I could find its exact dimensions on the Vitra website and confirm it would fit perfectly with the "Grohe Rapid SL Cosmo 0.82m Pack". 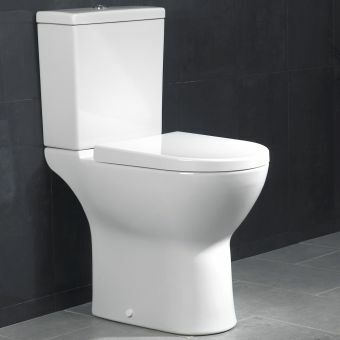 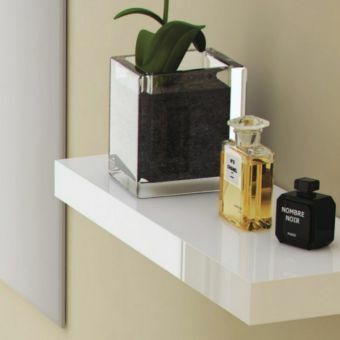 Fitting it showed that is strictly standard, as it came at the same height as the previous (pedestal) toilet. 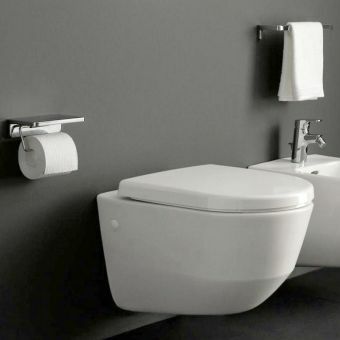 - It looks as good as a top-brand one. 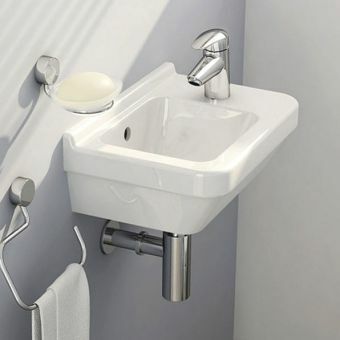 Note the picture shows the basic seat, whereas you'll get the much nicer soft-close seat with chrome hinges and the cover folding over the seat - It is great value for both item together, and you can be sure they fit together!